Konica Minolta's Simple Copy App for bizhub MarketPlace | TonerGreen - Eco-Friendly Toners from the U.S.
Konica Minolta Business Solutions U.S.A., Inc., which based on New Jersey, announced the release of their new Simple Copy Application available in Konica Minolta’s bizhub MarketPlace, which presents a new and easy way to browse, purchase, and download apps that are specifically designed for your Konica-Minolta MFP/multifunction printers. The Simple Copy Application is described to be "a user-friendly platform for customers to easily add enhanced functionality to their bizhub multifunctional products (MFPs) based on their specific business requirements." The said application was designed to help and boost small-to-medium-sized businesses in regards with their document workflow, the Simple Copy App identifies and groups together the most commonly used copy options, using graphical icons and buttons, for a more customized copy process. This help users point out basic options such as color and duplexing, as well as other advanced options like output format and duplexing. Konica-Minolta's new app is also said to offer "customized scanning functions and an Eco-Copy button predefined with settings to help reduce copying costs." 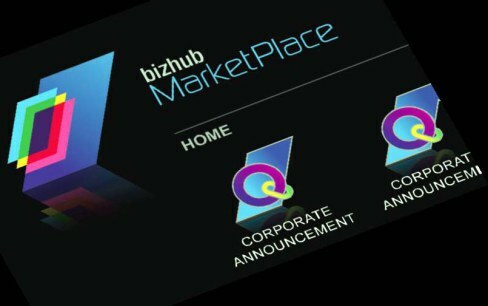 “We continue to grow the bizhub MarketPlace since its introduction earlier this year and look forward to offering more and more intuitive apps like Simple Copy,” says Kevin Kern, Senior Vice President, Marketing, Konica Minolta Business Solutions U.S.A., Inc. “As the newest addition to the bizhub MarketPlace, this app is another way for customer to count on Konica Minolta for making their daily document management practices more streamlined and efficient. "Konica Minolta’s bizhub MarketPlace offers a new and easy way to browse, purchase and download apps that are specifically designed for your MFP. Similar to those used on mobile devices, but specific to our customers' business needs, the apps found at bizhub can be accessed right from the convenience of your MFP control panel." Looking for Konica toner cartridges? TonerGreen offers a wide selection of Eco-Friendly Remanufactured Konica-Minolta toner cartridges. Konica Minolta is a Japanese manufacturer of office equipment pursuing advances imaging markets with its bizhub multifunction peripherals equipped with printing, copying, scanning and faxing. Tonergreen carries remanufactured Konica Minolta toner cartridges that are expertly built to maximize printing from your Konica Minolta printers while minimizing printing consumable cost. With our cartridges you can be assured of getting quality prints and standard page yield at a lesser price than the OEM cartridges.